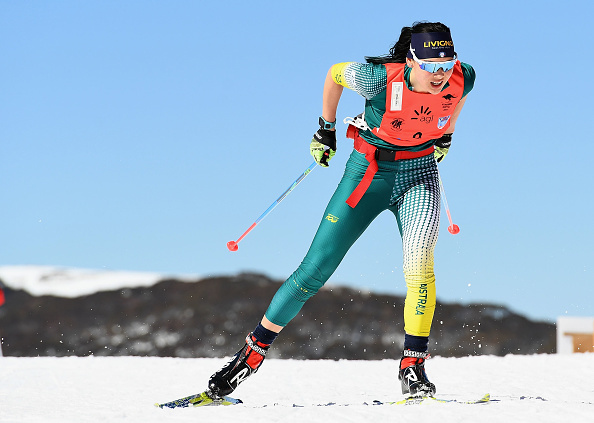 BIATHLON: Brother and sister duo Damon and Darcie Morton have made history overnight becoming the first Australian pair to compete in the single mixed relay at an IBU Cup event. The children of 2006 Torino Olympian Cameron lined up in the 27-strong field at the event in Ridnaun, Italy. Standard for this race format, only the first 16 teams finished, with the rest bowing out after being lapped. Despite finishing 20th after Darcie was passed on her second run, the result was a promising one for the young pair who were competing in their first 2016-2017 IBU Season event. Ukraine won the event with Russia second and France and the Czech Republic dead heating for the final spot on the podium. Darcie, Damon and fellow Australian Daniel Walker will now compete in the sprint event on Saturday evening AEDT. This will be the first time in two seasons that Damon and Daniel, who have both stated their keenness to participate at PyeongChang 2018, will go head to head in an IBU race. The event caps a massive year for Darcie who competed for Australia at the Winter Youth Olympic Games in Lillehammer in February.